The Joint Mid-Atlantic and Southeast Regional Caucus was held in Memphis, TN the month of May. It was a huge success. Each year, our event has grown. More than 200 participants showed up for Caucus. This included both Regional Directors, Ray Holt, Southeast and Ike Eichenlaub, Mid-Atlantic. The Southeast Regional Director also brought Warden Bruce Pearson and a Regional Executive Assistant Rita Teel to addressed Locals= concerns throughout the day. Basic and Advanced Stewards= Training was provided by me. All participants were provided training manuals and other templates/materials to do their jobs. I pray each person returns home and put what they have learned to use. Our members deserve it. Participants were tutored on AHow to Represent Effectively in the Disciplinary Process,@ How to Improve Labor Management Relations Meetings locally, and AHow to File Effective Grievances. @ We are already seeing the progress from this training in the Southeast Region. I want to give a special thank you to Dwayne Person, Mid-Atlantic RVP for joining with the Southeast three (3) years' straight! This is what the word "Union@ means B joining together to get the job done. You and I have gotten the job done. I want to thank our national Officers who came, Bryan Lowry, Council President, Mike Castelle, National Fair Practices Coordinator and Roger Payne, National Secretary-Treasurer. Thanks, also goes out to Jenny Celestin, AFGE Women and Fair Practices= Attorney who provided training in EEO. Joe Mansour, National Workers= Compensation Coordinator provided Workers= Compensation Training and Roger Payne provided National Secretary-Treasurer Training. I would like to thank all the vendors in attendance as well who assisted with hospitality, FED Professional and Benefit Architect. The month of March, Dan Bethea, Executive VP from Coleman assisted the Council in negotiating the Employee Health Program Statement. Jodi Thomason, President from FCI Jesup continued the month of April. Jay Rivera, President MDC Guaynabo, PR, continues on the Policy Writing Committee negotiating the Human Resources Manual. Robert Swanson, President Edgefield, SC will continue on the Policy Writing Committee for Food Service. As I expressed at the last Convention, negotiations of policies are a shared responsibility. All Presidents, Leaders and Union Activists are encouraged to participate in this process. Please ensure the Local is receiving all national draft Program Statements from the agency in "Draft" format. More important, ensure these policies are being forwarded via certified receipt as indicated in Article 3. Please ensure you are given the proper amount of time to review the policy. Also, Institutional Supplements should also be coming to you the same way - via certified receipt. If you are not getting these draft policy issuances, I encourage you to attempt to fix this problem immediately with your local administration. If the problem persists, I need to be informed. If this is not taken care of, you will not be able to convey your concerns to the Council or participate as a subject matter expert in negotiating any policy. Your skills are needed by this Council, so I encourage all to partake in this process. In retrospect, Leaders, if you receive a policy issuance and you are a subject matter expert in the policy, you will receive a call from me requesting your assistance. I still have a list of names of Subject Matter Experts. All I ask, is, please continue to submit policy proposals to the Council as these policies are coming out to the field for review and input. Take the official time to read these draft policies. Remember, Official Time is paid-duty time, not your time. If you are not chosen on a negotiation=s team, please submit policy proposals anyway. Whomever submits proposals have a greater chance of being selected and/or being an alternate. If you are not a subject matter expert for a particular policy, yet, still desire to participate in the process, you will be offered an opportunity to attend. But, this will only occur, in the absence of an SME B who is not available. In all these circumstances, overall it is a significant learning experience. It will benefit your Local substantially later on when the time comes to negotiate over matters locally. As many of you know, we continue our vigorous fight against untimely discipline. Liza and I recently won a great decision on "Untimely Discipline," at FCI Miami, FL that has set the stage for other victories in the region and nation. Untimely discipline has harmed our members tremendously over the years. More important, it has substantially decreased the moral in the BOP. Many staff have been denied promotion and other collateral opportunities, even, denied transfers because these actions have lingered over our members= heads for months B in most cases, years. There is a consensus in the Southeast Region among leaders to challenge untimely discipline cases as these cases come forth, and I support it. I will assist any Local who requests to challenge these type cases to arbitration, if necessary. FCI Miami, FCI Tallahassee, FCI Bennettsville, FDC Miami, FCI Marianna, FCI Yazoo and FCC Coleman have all had untimely disciplines and pre-employment cases recently overturned and/or settled. Locals have successfully continued to ward off untimely discipline at their facilities in the Southeast through arbitration and/or by settlement. I want to thank Troy Troitino, Chief Steward for FCI Miami for all his assistance. Troy and I were able to negotiate a settlement of a non probationary employee who was removed for preemployment reasons. The employee=s case was expunged and included back pay. More important, we were able to get this employee his job back before the Christmas holidays, so he could provide for his seven children. Congratulations to President Bob Andrews and Vice President Jeff Godwin in Marianna for settling an untimely discipline recently as well. They have another untimely case upcoming in August and are already being pursued by the Agency to settle. FCI Bennettsville, President Allen Rowe and Chief Steward Clellan Tyson is also recognized for assisting in the arbitration which resulted in another non probationary employee obtaining his job back and case expunged. The employee was removed for preemployment background reasons. The Arbitrator rebuked the Agency in this case, citing, AThere was no just cause to even give the proposal letter to the Grievant. @ See ACase@ link to review case. Bryan Lowry Council President and I were also able to engage the agency in a couple other preemployment cases at FCI Bennettsville and FCC Coleman. This resulted in two employees being returned to work and made whole. Their adverse actions were removed and expunged as well. Recently, I was able to assist President Joe Rojas, VP Dan Bethea and VP Ken Pike at FCC Coleman, in returning two non probationary employees back to work without having to pursue the case to hearing. That brings the total to four employees who was returned to work in the Southeast, and it is all due to your perseverance and your local leadership. In February, I was able to get AFGE Field Services= Department to pick up several cases reassigned from Attorney Liza Mendoza. These cases were from FCI Talladega, FCI Tallahassee, and FCI Miami. We have had tremendous success in the region adjudicating cases with Attorney Liza Mendoza. I want to sincerely thank her for all her assistance this past year in the region. I also want to thank AFGE General Counsel for their assistance, Maurice Britt, President at FCI Tallahassee, recently settled his untimely discipline case in June. The Grievant=s case was expunged and he was also made whole. Liza and I were able to settle a portal case at FDC Miami in June. It resulted in 40k in attorneys= fees. Prior to that she and the Bennettsville crew were able to secure another victory in which an adverse action was totally overturned and expunged from a Grievant=s personnel records. Attorneys= fees were granted in this award, as well and settled in June in the amount of 27k. Click ACases@ to review the decision. It is an awesome rebuke of the arrogant management officials at this facility. The issue of untimely discipline, as you all see, is still raising its head. Certainly, BOP will continue to discipline and/or remove our members - because of these old stale cases. Please, let's do everything possible to adjudicate these type cases to arbitration, if necessary. I want to also talk about other case victories in the Southeast as of recent coming out of Locals. President Robert Swanson recently won his Clarification of Unit challenge. He settled the case, after the agency concede a day before the hearing. All Special Investigative Technicians (SIS Techs) are now included in the bargaining unit at Edgefield, SC. Kudos goes out to President Dan Ditto on his recent arbitration victory in FCC Yazoo, MS. The arbitrator in his case overturned a disciplinary action because there was no progressive discipline given to the Grievant, before he was disciplined. He ordered the Grievant be made whole and case totally expunged. Click Acases@ link to review this award. It=s an excellent decision demonstrating what happens when the agency ignores clear and plain, English language of the CBA on progressive discipline. President Chuck Laugh, FDC Miami was able to get an employee back his job with the assistance of AFGE Fifth District Office, Attorney Stuart Kirsch. Lastly, Jay Rivera and I won a case in Guaynabo, PR that overturned a Warden=s decision to not hire additional staff to work in a housing unit, when the population exceeded a certain ratio. An appeal has been filed by 5th District=s Attorney Stuart Kirsch because of the arbitrator refusal to award back pay in the case. As you can see, we are handling business in the SE Region. I continue to hear encouraging stories of unfair labor practices sustained and won, for refusing to notify, negotiate and/or for denying official time. Please, I am encouraging all locals around the country, to continue our fights for our rights. Let=s continue to put our best foot forward on all these issues, nationally. My calendar is full and yes, I have been traveling substantially than previous years. I have visited Guaynabo, PR, FCI Marianna, FCI Bennettsville, FCC Yazoo, FCI Jesup, FCI Estill and FCI Williamsburg in past months. In this time, I have either perform stewards= training or conducted an arbitration at one of the locations listed. In April, I attended the Warden=s Conference in Atlanta, GA. During my visit, I had the opportunity to converse with the E-board of USP Atlanta and Talladega, AL. A month later, in May, the Regional Director and I hosted Joint Wardens and Presidents= Training in FCC Coleman. I want to thank the Regional Director for coordinating this training. In June, the Council will host National LMR at FCC Coleman. Policy will be held later on this year at FDC Miami. Let's continue to do all we can to represent our members. They deserve the best we have to offer. I strive to ensure, the Southeast is leading the way. I want to personally thank all of you for your dedication and strong leadership styles B and attention to detail. Your dedication often goes unnoticed. Know that you will be criticized, judged and, talked about. Do not let this discouraged you. Remain steadfast. More important, be encouraged. Keep your fortitude. You=ll need it to stand up for those who cannot stand up for themselves. I want you to know that it takes an incredible human being to stand up for others. So, I say THANKS in advance on behalf of our Council. Be blessed and I look forward to seeing you all as I visit your institutions in the coming months and year. The Joint Mid-Atlantic and Southeast Region Caucus has been confirmed for May 17-21, 2010 in Memphis, TN. The event will be held at the Marriott downtown Memphis. Room rates are $95.00 per room. The number to call for reservations is 1 (800) 228-9290. The cutoff date for reservation is April 23, 2010. The address to the Marriott is 250 North Main Street, Memphis TN. 38103. Please reserve your rooms now. Remember, its Memphis in May! There will be a lot of festivities going on in the area (i.e., World Championship Barbecue Cook-Off, Music Festival, etc.). Don't miss the awesome training opportunities and events going on daily after the training. This past week, I arrived in San Juan, Puerto Rico with the Council Negotiations' Team to initiate negotiating the Correspondence Policy. Negotiations have progressed well this week. Jeff Godwin, VP from FCI Marianna will continue on this policy until completed. Irene Compton, VP from FCI Tallahassee represented the Southeast Region on the Council Negotiations' Team with the Mail Management Program Statement, in previous months. Prior to that Jay Rivera, President MDC Guaynabo, PR represented the Southeast with the Vests' Negotiations. As I clearly expressed at Convention, policy negotiations are a shared responsibility. All Presidents, Leaders and Union Activists are encouraged to participate in this process. But, please ensure the Local is receiving all national draft Program Statements from the agency in "Draft" format and via certified receipt as indicated in Article 3. If you are not getting these draft policy issuances, I encourage you attempt to fix this problem, immediately with your local administration. If the problem persists, I need to be informed immediately. If this is not taken care of, you will not know what policies are up for negotiations. Now, if you receive a policy issuance and you are a subject matter expert in the policy being presented for negotiations, you will receive a call from me. I still have a list of names of Subject Matter Experts in the field that was provided to me from Convention. All I ask, is please continue to submit policy proposals to me at your earliest convenience. Everyone should send in policy proposals for policies. But, first, take the official time to read these draft policies. Most Locals receive these policy issuances at home and do not take the time to read them at work. Remember, Official Time is paid-duty time, not your time! See Article 11. Even, if you are not chosen on the negotiation’s team, please submit policy proposals. Whomever submits proposals have a greater chance in being selected by me to participate on a said policy negotiation. If you are not a subject matter expert for a particular policy, yet, still desire to participate in the process, you will be considered by me, if the opportunity presents itself. But, this will only occur, in the absence of a SME who is not available or I am not able to attend. In all these circumstances, there is still a chance to be selected to attend a policy negotiation’s session. This is a significant learning adventure. It will benefit your Local substantially later on - when the opportunity presents itself to negotiate over matters locally. This is particularly, important so you can learn how to submit negotiable proposals. I encourage everyone to participate in this process. It will be my sincere goal to attempt to afford others an opportunity to participate in the policy negotiations' process. As many of you know, Liza and I recently won a great decision on "Untimely Discipline." This case was done at FCI Miami. This issue of untimely discipline raised its head some time ago - when OIG did an audit on the Bureau of Prisons' disciplinary system. It resulted in the Kathleen Kenney memorandum which Central Office put out guidance to all Wardens - to ensure investigations were completed timely. More important, it instructed Wardens to ensure local investigations were completed within a 120 days and OIA cases are to be completed in 180 days' time frame. This was again, reaffirmed by the agency in the National Labor Management Relations Meeting Minutes which is on the Council's web site. You and I, know this is not occurring in BOP – even, after the critical Department of Justice Disciplinary Audit. BOP continues to discipline our members for these old stale cases. We should not be letting these old stale cases be sustained on our members in the field. Please let's do everything we can to adjudicate these cases to arbitration, if necessary. I am hearing encouraging stories from all over the nation of settlements reached. This decision should assist you further in this cause. See the decision in the "Cases" link on Council's web page." Please, let's continue to put this issue on the forefront nationally. You can start by addressing this ongoing problem in your local Labor Management Relations Meetings. For the past two (2) years, I have trained on this topic at Caucuses throughout the nation in the South Central, North Central, Mid-Atlantic and Southeast Regions - "How to Represent Effectively in the Disciplinary Process." Much of the course subject was dedicated to how to defend staff against these old untimely and stale cases. Investigations continue to linger on from 181 days, and some in excess of four (4) and five (5) years. This is absolutely ridiculous! Most of all, we should not be allowing this to continue. As with this particular case, the investigation period ran over the time to complete local investigations. Needless to say we were able to convince the Arbitrator to overturn the decision of the Warden as it was not for "just and sufficient cause." He ordered the employee discipline to be expunged and to be made whole. Liza has subsumed many cases in the region. Our calendars are the same. They are filling up, quickly. We presently have cases set for hearings into the new year. There are four arbitrations remaining at Locals the rest of the year that Liza and I will be handling in the Southeast. One, is at FCI Miami. Another is at FDC Miami and two other cases are at FCI Bennettsville, SC. Other cases are scheduled into the new year as I have said at FCI Marianna, FDC Miami (Portal continuation) and FCI Tallahassee. Let's continue to do all we can to represent our members. They deserve the best this Council has to offer. I want to personally thank the true unionists for your strong leadership and attention to detail. Your dedication is often a thankless job, but I ask you to remain steadfast in your positions. More important, please be encourage and keep the fortitude you need to stand up for those who cannot stand up for themselves. It takes an incredible human-being to stand up for others. Again, I thank you. Be blessed and I look forward to seeing you as I visit your institutions in the coming months and year. I personally want to thank every Local who attended this year's convention. The overwhelming vote of confidence was more than I imagined. Thank you all who supported me in my bid for reelection as the Southeast Regional Vice President. I will continue to serve this region with my all. Hopefully, this Council's Convention and reelections send a clear message to management both locally and nationally. Thanks for demonstrating total confidence in our leadership. Distinguish Leadership Award was given to Jay Rivera, President L-4052, MDC Guaynabo, PR and Southeast Regional Fair Practices Coordinator. Jay Rivera also received the National Fair Practices Award which was given by the Council's NFPC Mike Castelle - for continued and sustained leadership. Most Improved Local was given to William Turner, President L-525, FCI Williamsburg, SC. William has turned around his Local single-handedly with a vigorous leadership style and attention to detail. Most Organized Award was given to Local 1145 USP Atlanta, GA. This is an Award that majority of the Locals desire at Convention time. It is very difficult to obtain this award, more important, very difficult effort to sustained membership in a Local, year round. Congratulations to all the local leaders in ATL for receiving this Honor. 70% Club. This Award is given to Locals whose membership is at 70% or better organized: FDC Miami, FL; MDC Guaynabo, PR; FCI Miami, FL; FCC Coleman, FL; FCI Edgefield, SC; FCI Bennettsville, SC; FCI Williamsburg, SC; USP Atlanta, GA; FCI Jesup, GA; FCI Marianna, FL; FPC Pensacola, FL; FPC Montgomery, AL and FCC Yazoo, MS.
Congratulations to all Locals and Leaders who received awards in the Southeast Region and from National Officers. Receiving such an honor is a testament to the hard work each of you do each and every day that often go unrecognized. Therefore, I encourage every person who read this to go back and give honor and praise where it is due - to all the hard-working men and women in their Locals who sacrifice their livelihoods for those who cannot stand up for themselves. Again, great job. The AFGE convention in fast approaching. Ensure you register on time and/or proxy your votes to another Local, if you are not attending. It will take place in Reno, Nevada at the Grand Sierra Hotel the week of August 24-28. The CPL convention will precede. It will be held on August 19-22th at the Nugget (host hotel). Convention link on web page for more details. The AFGE Legislative Conference was held at the Hyatt Regency on Capitol Hill, Washington, D.C. back in February 2009. There was more participation from the Southeast this year than prior years. A Candlelight Vigil was held on behalf of Jose Rivera - who was killed in the line of duty at Atwater the year prior - by AFGE and the Council of Prison Locals. I want to personally thank every Local for sending representatives to Washington, D.C. for the Legislative Conference. This is one of the most important events the Council attends each year. Thank you for all your activism. It does make a difference. The Council of Prison Locals-sponsored President's Training at the National Labor College in Silver Springs, MD outside of Washington, D.C., after the Legislative Conference. FCI Marianna, FCI Talladega, FCI Edgefield, FCI Williamsburg, FCI Bennettsville, FCI Miami, and FCC Coleman were all in attendance. The Council furnished and/or reimbursed Locals who sent newly elected Presidents to training. Training was provided by AFGE and the Council. President Lowery went over numerous pressing issues affecting the Council. The 2009 Regional Caucus was held on April 20-24, 2009. As expected, training was awesome - while it lasted. Training ended one day early due to a wild fire. It resulted in an evacuation of the entire Barefoot Resort. However, it was another record-breaking event with more than 170 Union advocates in attendance. Basic and Advance Stewards' Training were provided by myself. Labor Law Training was provided by Professor David Comier. Attorney/Teacher Jenny Celestin from AFGE's Women and Fair Practices' Department provided training in EEO. Roger Payne, NST provided Secretary/Treasurer's Training as well. Since the Regional Caucus, I have coordinated additional training in the region with other Locals. FCI Edgefield sponsored a two-days' Stewards' Training recently June 2009, in which they invited neighboring Locals. FCI Bennettsville, FCI Atlanta, FCI Williamsburg, FCI Estill, and FCC Yazoo were all in attendance. A special thanks is in order for President Robert Swanson. Each day, he cooked and provided delicious meals for everyone in attendance. The hospitality was just awesome. Additional Stewards' Training has also been held at FDC Miami. Stewards' Training will be held at FCI Miami at the end of July 2009. More training is planned at FCI Marianna in the coming months. Surrounding Locals already have expressed interests in attending (Pensacola and Tallahassee). Any other Locals interested in attending can contact myself or Local 4036 for further details. In December 2008, I assumed the position of LMR Chair on behalf of the Council. I planned to ensure the Council LMR sessions become more proactive and productive. But, first, with the assistance of the Council Officers, we must provide assistance at the local level with educating and training new Union leaders/advocates how to address matters locally with the Warden and Regional Director, first, before their issues arise to the national level (Director). Failure to do so, often results in pertinent national issues being bogged down - delayed and not being discussed. The essence of the parties' CBA, Article 6 and 31 advocate matters of concern to be informally resolved at the lowest appropriate level. Please do your part by always attempting informal resolution on matters before they arise in national LMR. I vow to lead by example - how to resolve matters at the lowest appropriate level. Lastly, Vice President John Washington, L-3976 from FCI Estill, SC attended LMR as a guest back in December 2008. He has since went back and employed some measures he has learned nationally, locally. The Council will always try to be an example for Locals in the field. Vest Negotiations has concluded. Progress was very slow. Presently, there are pending negotiability appeals and unfair labor practices filed against by the agency. Jay Rivera, President L- 4052 represented the Southeast Region in these negotiations. The next policy session commenced this month, July 2009. The policy being negotiated at the present moment is Mail Management. Irene Compton, Vice President L-1570 and Correctional Systems Officer have been selected to represent the Southeast on this policy. Jay Rivera, who is also a Correctional Systems Officer, is assisting as an alternate. If I am unable to attend policy due to a scheduling conflict and you are interested in attending in my absence, I would like to know beforehand. Please see Policy Tracking Table - to see which policy you are interested in assisting the Council with. However, be advised, I usually pick union advocates who submit policy proposals to the Council for negotiations. More important, you must at least have expertise in the subject/policy being negotiated or have submitted policy proposals to be negotiated for a particular policy being negotiated. This is the criteria I utilized when selecting advocates to attend negotiations in my absence. In December 2008, I assisted FCI Tallahassee in a duty-free Lunch Break settlement which resulted in 16K thousands of dollars being provided to a few employees. Prior to this as well, I assisted Jay Rivera in coordinating a settlement in Guaynabo, PR. It resulted in 198K in lost overtime to members of L-4052 for vacating Correctional Officers' Posts. The same week, I secured Attorney Lillian Mendoza as the Southeast Regional Attorney. In January 2009, I assisted the Local 4052, again with an EEO arbitration hearing. We prevailed in the case, but the agency later appealed the decision. Attorney Liza Mendoza and I have since advocated a couple other hearings in the Southeast Region at FCI Miami in May (Untimely Discipline) and FCI Bennettsville in July (Lost Overtime). Attorney Nicole Trail, Roger Payne and I, initiated a Portal Hearing in June at FCC Yazoo, MS. The case is continuing and will resume upon establishing additional dates. There are other cases pending in the region at FCI Williamsburg (Official Time), FCI Marianna (Untimely Discipline), FDC Miami (Portal and Lost Overtime) and FCI Miami (Breach of Information and Untimely Discipline Cases) later this year. Others that are tentatively being scheduled are at FCI Bennettsville and FCI Tallahassee. If you have a case in the Southeast Region that you would like priority and attorney representation, please do not hesitate to contact me immediately. The Southeast has stepped up and obtained a Law Firm to represent our interests in this region. We are the first to do so in the Council. Our Regional Attorney is Lillian Mendoza. As the RVP, I am requesting before a case is forwarded to the attorneys that a complete copy of the entire case file be made and sent to me for review. Before this is done, I ask you to itemize all the evidence in a binder, preferably, in Tab format (e.g., Tab 1, formal grievance, Tab 2, agency’s response letter, Tab 3, union’s invoke letter, Tab 4, other supporting evidence, memos, etc., Tab 5, case law that supports your case). Subsequently, I request the Advocate, write a brief synopsis to the attorneys, explaining the case. It should include all issues, evidence and facts pertaining to the case. Please submit any emails or information requests as well. This way, the Attorneys will have a better understanding of the case file which will more than likely will increase the chances of a case being accepted by her Firm. Finally, please do not wait for an arbitration to be imminent, before you request assistance. Failure to follow these procedures will likely result in a case being denied. Remember, we all have full calendars. In order for us to be successful, we need preparation time. The Council will continue to track arbitration cases. Each time the tracking table is updated the Presidents will be notified. Remember, the Council has more than six (6) other attorneys on a retainer. If you have a solid case, we have an attorney for your Local. STATEMENTS MADE BY AN EMPLOYEE TO HIS UNION REPRESENTATIVE ARE PROTECTED UNDER THE CSRA. The FLRA found that an Internal Affairs Officer violated 5 USC 7116(a)(1) when he interviewed a union representative to find out what an employee had told him in confidence during his representation in a removal action. The union representative was threatened with discipline if he refused to cooperate and with criminal prosecution if he did not tell the truth. The FLRA concluded that statements made by an employee to a union steward in the course of representation were protected by the CSRA. There had been no waiver of the privilege between the employee and his representative. Therefore, the employer's actions constituted an unfair labor practice. THE "DID YA KNOW" FORUM WAS CREATED BY ME AS A MEANS TO EDUCATE AND KEEP ALL ELECTED AND/OR APPOINTED REPRESENTATIVES INFORMED OF THEIR RIGHTS AND RESPONSIBILITIES UNDER THE STATUTE . AS YOU GO ABOUT EXERCISING AND DISCHARGING YOUR FIDUCIARY RESPONSIBILITIES AND DUTIES AS ADVOCATES FOR THE COUNCIL, READ THE "DID YA KNOW " COLUMN. IT IS A METHOD AND MEANS TO KEEP YOU KNOWLEDGEABLE IN EVERY ASPECT OF PERSONNEL MANAGEMENT AND THE LABOR MOVEMENT; ALWAYS STRIVE TO EDUCATE YOURSELVES ABOUT YOUR EXCLUSIVE RIGHTS GRANTED TO YOU BY THE STATUTE; AND DEVELOP A MEANS TO KEEP EMPLOYEES ABREAST AND APPRISED OF THEIR RIGHTS. Remember always, through adversity comes victory. With pain comes progress! The Southeast and Mid-Atlantic have teamed up once again to put on a Joint Caucus. Last year, more than 150 people showed up from both regions. Dwayne and I are returning to our roots — where RVPs not only hosted a Caucus, but did training themselves. There are no better advocates to train our people than ourselves, AFGE, Council of Prison Locals representatives. You can be reassured that this year will be better than last year. Training will be divided in every forum and in all aspects of personnel management. How to represent staff in the disciplinary and grievance process (Arbitration), Equal Opportunity (EEO), and Negotiations and Merit Systems Protection (MSPB) process. Secretary-Treasurer’s Training will also be provided by Roger Payne, National Secretary-Treasurer. The caucus will be held the week of April 20-24th 2009 at the Barefoot Resort in North Myrtle Beach, South Carolina. Come enjoy yourselves. Below are the room rates. All accommodations and costs remain the same as last year. I want to thank all the Presidents for wanting to keep the Joint thing going. Remember, this is a new Resort/Hotel, and the design of the rooms is to allow groups to get a two or three bedroom Villas and share the living space and be able to lock three separate rooms like a joining hotel room when they are ready to go to sleep. One Bedroom Villa on Inlet Waterway: features a private bedroom with 2 queen beds, fully equipped kitchen, living area, cable television with DVD/VCR player and balcony. Two Bedroom Golf Villa: features 2 bedroom with varying bedding, living area, a fully equipped kitchen, cable television, with DVD/VCR Player, 2 baths, and a balcony. Three Bedroom Golf Villa: features 3 bedrooms with varying bedding, living area, a fully equipped kitchen, cable television with DVD/VCR Player, 2 baths and balcony. Three Bedroom Villa on Inlet Waterway: features a master bedroom with master bath, 2 additional bedrooms with varying bedding, 3 full baths, fully equipped kitchen, living room with cable television with DVD/VCR player and balcony deck. Hotel Room on Inlet Waterway: standard room with King or 2 queens, one full bath and coffee maker. Do not hesitate. Please reserve your rooms NOW! You can be sure this year’s training will be superb! The Southeast has stepped up and obtained a Law Firm to represent our interests in this region. We are the first to do so in the Council. Our Regional Attorneys’ names are Lillian Mendoza and Luis Defillo. As the RVP, I am requesting before a case is forwarded to the attorneys that a complete copy of the entire case file be made. Then, I ask you to itemize all the evidence in a binder, in Tab format (e.g., Tab 1, formal grievance, Tab 2, agency’s response letter, Tab 3, union’s invoke letter, Tab 4, other supporting evidence, memos, etc., Tab 5, case law that supports your case). Subsequently, I request the Advocate, write a brief synopsis to the attorneys, explaining the case. It should include all issues, evidence and facts pertaining to the case. This way, the Attorneys will have a better understanding of the case file which will more than likely will increase the chances of a case being accepted by the Firm. Finally, please do not wait for an arbitration to be imminent, before you request assistance. Failure to follow these procedures will likely result in a case being denied. Remember, we all have full calendars. In order for us to be successful, we need preparation time. The Council will continue to track arbitration cases. Each time the tracking table is updated the Presidents will be notified. Remember, the Council still has six (6) other attorneys. If you have a solid case, we have an attorney for your Local. On May 29th 2008, I held a conference call with my Congressman Kendrick Meek’s staff, PhyllisJo Gervasio – concerning the latest updates and status of H.R. 5674, Correctional Workers Safety Act of 2008. Presidents, Leaders and Union Activists, it is with great pleasure, that I announce to you today, since April 1st, we have a total of 37 cosponsors, from both political parties signed onto this Bill. Prominent members of the US Congress like Republican and Minority WHIP, Steny Hoyers, Congressmen Jack Murtha, Alcee Hastings, Chris Carney and Congresswoman Sheila Jackson-Lee are amongst the names listed as cosponsors of this Bill. As of this month, representatives, Henry "Hank" Johnson, Jr. of Georgia, Mary Fallin of Oklahoma, Tom Cole of Oklahoma, Steve Cohen of Tennessee are the latest to sign on in recent weeks. Representatives from east to west and from around the country have all signed onto this Bill to show their support to correctional workers. To amend title 18, United States Code, to require the Bureau of Prisons to provide secure storage areas in prison facilities for employees authorized to carry a firearm. This Act may be cited as the `Federal Correctional Workers Safety Act of 2008'. SEC. 2. SECURE FIREARMS STORAGE IN PRISON FACILITIES. `The Director of the Bureau of Prisons shall ensure that each prison facility provides a secure storage area for all persons employed by the Bureau at that facility who are authorized to carry a firearm.'. The Southeast and Mid-Atlantic teamed up and put on an awesome Joint Caucus. More than 150 people showed up from both regions. (See Picture Below) Dwayne and I return to our roots — where RVPs not only hosted a Caucus, but did training themselves. There are no better advocates to train our people than AFGE, Council of Prison Locals representatives, who worked for the government, or the Federal Bureau of Prisons. I want to extend a very special thanks to Jenny Celestin, Attorney from AFGE Women and Fair Practices Department and Chuey Sanchez, National Representative for AFGE. Training was provided in every forum – all aspects of personnel management. Representation in the disciplinary and grievance process (Arbitration), Equal Opportunity (EEO), and in the Merit Systems Protection (MSPB) process. The Mid-Atlantic and South East Regional Joint Caucus has been finalized. The Joint caucus will be held on April 20, 2009 thru April 24, 2009 at the Barefoot Resort in North Myrtle Beach South Carolina. Call 1-800-597-0154 to get the group rate and identify yourself as a member of American Federation of Government Employees, Council of Prison local 33, attending the Joint Mid-Atlantic and South East regional caucus. To guarantee your group rates you must make reservation by February 27, 2009. Listed below are the room rates from the group. The Council continues to track all scheduled arbitration cases. All Attorneys have requested all this information be forwarded to them ASAP. Each time the tracking table is updated the Presidents will be informed. As the RVP, I am requesting you itemize all the evidence in a binder – in Tab Format. I also request the Advocate formulating the case for the Local, write a brief synopsis of the issues and facts about the case, so when the Attorneys receive the evidence/information, he or she can correlate it with the evidence in the binder. This way, the Attorneys can have a complete understanding of the issues about the grievance and case file. If you have any questions regarding this request or concerns regarding any representative matters please contact me immediately. Please do not wait for the arbitration to be imminent, before you decide to act, accordingly. This may be the cause of the Attorney or RVP, denying to take on a Local’s case – due to time constraints or previously scheduled obligations. On February 20th 2008, I visited Congressman Kendrick Meek in Washington, DC. Phil Glover and Bill Gillette attended the meeting with me on behalf of the Council. The primary purpose of the meeting was to lobby his support for additional funding in FY08. However, I was able to turn the conversation to the subject of LEOSA. During the conversation, I expressed to the Honorable Congressman exactly how the Bureau of Prisons had undermined the fundamentals of Law Enforcement Officers Safety Act – by prohibiting its employees from carrying weapons onto Bureau property when they commute to and from work. The meeting ended with the Honorable Congressman indicating he was going to sponsor a Bill on the union’s behalf. Presidents, Leaders and Unionist, I need your support more than ever before. It requires you to write letters, make phone calls and visit your Congressional Leaders, in person. Request they sign on and co-sponsor H.R. 5674 – Correctional Workers Safety Act, immediately. The faster everyone does this, the faster we all will see gun lockers for staff. 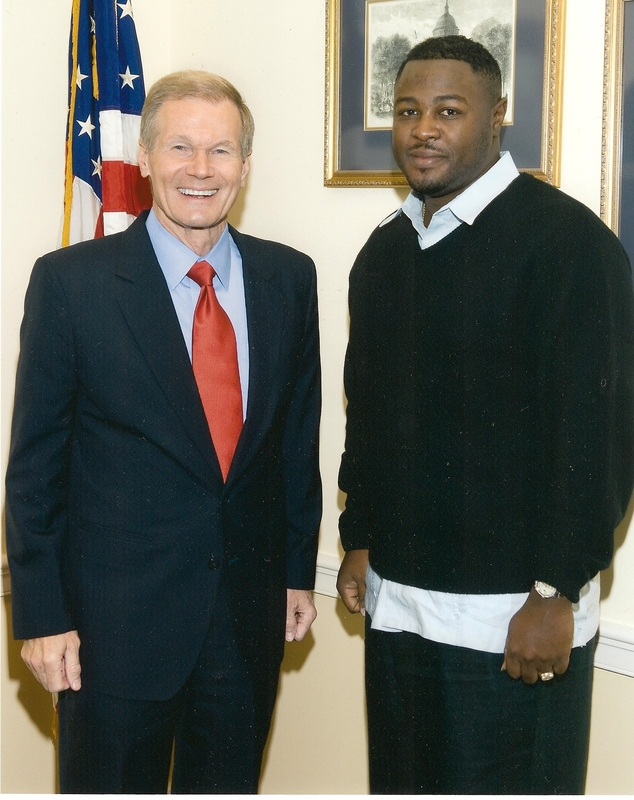 Back during Legislative week, I personally met with Senator Bill Nelson of Florida (see photo at bottom). I also met with several other members of Congress and/or their staff to lobby on behalf of our Council. I believe I got the message home along with everyone else – explaining the state of the BOP today, versus before. I, basically surmised, to my members of Congress, if they did not intervene soon and deliver the additional supplemental appropriations, the BOP could be possibly forced to furlough several thousand workers before the end of the fiscal year. Many members of Congress and/or their staff were flabbergasted with the environment our staff has been forced to work in (unsafe). Unlike, other federal agencies like DHS and FBI, the BOP has seen their funding reduced, substantially, which has resulted in unsafe working conditions. In short summation, I basically told members of Congress, at the rate we are going, the inmates would be watching themselves by the end of the year, if the additional funding was not received. All this hard work has paid off, in the interim. Since Legislative Week, the Bureau of Prisons has been appropriated an additional 109 million dollars – with promises of more funding to come. I ask each of you to continue to lobby congress from your respective home Districts and States, on the Bureau’s behalf. We are not completely out of the woods, yet! So, please continue to request these remaining funds be supplemented in any appropriations Bills coming out of Congress. This is very important time for all of us. It should be a top priority of every Union advocate across the land to continue to get our message out. Members need to express to their Congressional leaders, President Bush has indicated, many times over the years, "Terrorists are the most dangerous people in the world that wants to kill the American people." Remind them, we are Americans, too. Unlike our Local, State and Federal counterparts, we work the worst neighborhoods in the world . . . they are called "Housing Units," with a ratio of 150 to 1. In some facilities, it is 300 to 1. Express to your members of Congress, without this crucial funding, we cannot keep them or the community safe. I consider the Bureau’s Mission Statement void, until we are adequately funded. Why, I say that? Remember, these are the most dangerous people in the world – being dumped on other incarcerated Security Threat Groups and other dangerous gangs, and individuals. It does not make for a pretty situation. As many can see the increase in assaults on staff and other inmates, increase in disturbances/riots (e.g., FCC Beaumont, FCC Yazoo, FDC Houston, FCI Three Rivers, etc.) and lock downs, just this year along. Let your members know of these recent incidents, and continue to refer them to our web-page to see the daily reports. Lastly, if anyone receives an invitation from any member of Congress – who wants to tour your facility, please contact me immediately, so I can ensure our SE Legislative Coordinator, Dan Ditto and National Legislative Coordinator, Phil Glover is informed. They will keep you up to date on the issues affecting the Council as a whole. This will be crucial to brief either you or the Congressman/woman when they visit. The Southeast and Mid-Atlantic have teamed up once again to host a joint caucus. The caucus will be held on June 2 thru June 6, 2008 at the Barefoot Resort in North Myrtle Beach, South Carolina. Please continue to call 877-237-3767 to get the group rate and identify yourself as a member of American Federation of Government Employees, Council of Prison local 33, attending the Joint Mid-Atlantic and South East regional caucus. To guarantee your group rates you must make reservation by April 17th, 2008. Listed below are the room rates. This is a new Resort/Hotel, and the design of the rooms is to allow groups to get a two or three bedroom Villas and share the living space and be able to lock three separate rooms like a joining hotel room when they are ready to go to sleep. The Council continues to track all scheduled arbitration cases. Mitch Berry (attorney) has requested all this information be forwarded to him ASAP. Each time the tracking table is updated the Presidents will be informed. As the RVP, I am requesting you itemize all the evidence in a binder – in Tab Format. I also request the Advocate formulating the case for the Local, write a brief synopsis of the issues and facts about the case, so when the Attorney receives the evidence/information, he can correlate it with the evidence in the binder. This way, the Attorney can have a complete understanding of the issues about the grievance or case file. If you have any questions regarding this request or concerns regarding any representative matters please contact me immediately. Please do not wait for the arbitration to be imminent, before you decide to act, accordingly. This may be the cause of the Attorney denying to take on a Local’s case – due to time constraints or previously scheduled obligations. The Southeast and Mid-Atlantic have teamed up once again to host a joint caucus. The joint caucus has been finalized. The caucus will be held on June 2 thru June 6, 2008 at the Barefoot Resort in North Myrtle Beach, South Carolina. Please call 877-237-3767 to get the group rate and identify yourself as a member of American Federation of Government Employees, Council of Prison Local 33, attending the Joint Mid-Atlantic and South East Regional Caucus. To guarantee your group rates you must make reservation by May 2, 2008. Listed below are the room rates. This is a new Resort/Hotel, and the design of the rooms is to allow groups to get a two or three bedroom Villas ans share the living space and be able to lock their seperate rooms like a joining hotel room when they are ready to go to sleep. 1 Bedroom Villa on Inlet Waterway: features a private bedroom with 2 queen beds, fully equipped kitchen, living area, cable television with DVD/VCR player and balcony. 2 Bedroom Golf Villa: features 2 bedrooms with varying bedding, living area, a fully equipped kitchen, cable television, with DVD/VCR player, 2 baths, and a balcony. 3 Bedroom Golf Villa: features 3 bedrooms with varying bedding, living area, a fully equipped kitchen, cable television with DVD/VCR player, 2 baths and a balcony. 3 Bedroom Villa on Inlet Waterway: features a master bedroom with master bath, 2 additional bedrooms with varying bedding, 3 full baths, fully equipped kitchen, living room with cable television with DVD/VCR player and balcony deck. Hotel Room on Inlet Waterway: standard room with King or 2 Queen beds, 1 full bath and coffee maker. DO NOT HESITATE!!! PLEASE RESERVE YOUR ROOMS NOW!!! THEY MAY BE GOING FAST!!!! By now, everyone should have been affected by the new Staff Search Procedures. And, by now, the agency should have received an expeditious and overwhelming response from the Council and/or from every Local expressing their dismay with the agency's unilateral decision to implement this change without bargaining. I want everyone to know that we will utilize every tool and/or option possible to fight this change in your working conditions and conditions of employment. The national grievances filed by the Council do not at all relieve or immune any Local(s) from filing their own grievance(s) or unfair labor practice(s)- for violations or repudiations of the MOU or Article 3, 4 and 7. In fact, I encourage each Local to take some form of action, which is not limited to, filing on each and every single violation of the MOU on the search of staff. When the MOU was derived, no one would have anticipated management would have taken the stance and not permit local bargaining. In fact, much of the discussion across the table was to ensure there would be local involvement and/or negotiations. It is one of the reasons, in the agreement, you will see language like in #9.... "Safety shoes negotiations will be in accordance with the Master Agreement." Well, if you review the Master Agreement, Article 28, section g., it states the following, "The cost and quality of said footwear will be negotiated locally." This is one section of many mentioned in the MOU which requires further bargaining. Look, every Institution/facility is different. No one facility is doing staff searches in the same manner. Every institution is doing or have implemented different procedures to search staff. This alone requires barganing over the impact, at a minimum, barganing over the appropriate arrangements and procedures. Management know this. And, they know there is no way this Council could have ever negotiated for every institution in the Bureau. Since the search was initiated, I have received feedback from the field that management is not removing visitors or inmates from the area when staff are searched. This is a direct violation of the search procedures. Particularly, in # of th MOU, it states, "No inmate or inmate visitor will be allowed to remain in the area when electronic searches of staff are being conducted." Management believes by putting up a divider (e.g., shower curtain, etc.) that this is sufficient. Well, it is not. That is a bad assessment by management, and no Local should permit this to occur. It is my opinion, any violation of the MOU, is a new violation. The MOU on search of staff is a collective bargaining agreement- for the life of the Master Agreement. For the agency to disregard and/or not follow the provisions outlined in the MOU as written, it is considered a repudiation of an Agreement. I encourage each Local to file a ULP on every single violation. This is a consequence of management's actions. I believe, if every Local engages management in this manner, management will eventually, see their indiscretions and prevent from engaging in actions like this in the future. The Council's ultimate goal is to have a third-party force management to return to the bargaining table. This is the SE's perspective, and my advice for this region. I would hope you endorse my advice, but, of course, in the end, you have the right to pursue the matter how you see fit. Do what is in the best interests of your Local. The new staff uniform policy went into effect January 2008. It has been said that management is expecting all uniform staff receiving a clothing allowance to start purchasing the new uniforms when they receive their annual uniform allowance. Well, that is hard to do with only $400.00. There are several new uniforms that have been approved, and gaging the prices of these new uniforms, $400.00 will not be sufficient to get them all. The last uniform increase was more than 16 years ago. Over the years, we have seen all uniform items costs increase significantly, yet, there has been no increase in the uniform allowance. Recently, OPM regulations were changed to permit agencies to provide uniform staff up to a maximum of $800.00 per year to purchase new uniforms. Well, BOP officials are not ready to increase the uniform allowance just yet. Our current CBA only permits a uniformed employee(s) to recieve no less than $400.00 a year- for upkeep and maintenance of their uniforms. It does not prohibit this amount to be increased. So, it is our ultimate task as a Council to continue to explore methods and take avenues to obtain an increase in the uniform allowance. The Southeast Region had a very good turnout for both the Legislative Conference and New President's Training. I want to extend a special thanks to all those who attended from this region. I seen Unionist from MDC Guaynabo, FDC Montgomery, and FCC Yazoo. I also want to thank those who had the desire to attend, but could not attend for various reasons. In the end, I believe our folks got our message and issues to members of Congress in both the House and the Senate. Our folks teamed up with one another to get the job done. So, I want to again express my gratitude for their continued dedication to this Council, their members and for standing up for those who cannot stand up for themselves. I personally met with Senator Bill Nelson of Florida and other members of Congress and/or their staff. I believe I got the message home to everyone just what state the BOP is in. i, basically surmised, if members of Congress did not intervene soon and deliver the additional supplemental appropriations, the BOP could be possibly forced to furlough staff or lay off more than a several thousand workers. Many members of Congress and/or their staff were flabbergasted with the environment our staff has been forced to work in (unsafe) the past few years as a result of reduced funding while other agencies like DHS and FBI has seen their funding grow. In a short summation, I, as well, as local leaders surmised to members of Congress, the inmates are eventually going to be watching themselves, if the BOP does not recieve the additional funding to keep the staff, and community safe. I ask each of you to continue to lobby congress from your respective home Districts and States to request there funds be immediately sent to the BOP. This is very important time for all of us, and is should be a top priority of every Union advocate across the land to get our message out. Members alike need to be expressed to their Congressional leaders, President Bush has indicated, many times, "Terrorists are the most dangerous people in the world that wants to kill the American people. "Well, we are Americans, too. The BOP incarcerates these individuals and continue to drop them off in BOP facilities nationwide. If they are not sent to Guantanamo Bay, Cuba, they come to us. Express to your members of Congress, without this crucial funding that we cannot keep them or the community safe, if the President does not fund the BOP. Remember, there are the most dangerous people in the world being dumped on other incarcerated Security Threat Groups and dangerous gangs. It does not make for a pretty situation, as many can see the increase in assaults on staff and other inmates, increase in disturbances/riots and lockdowns. Lastly, if anyone recieves an invitation from a member of Congress to tour your facility, please contact me immediately, so we can ensure our SE Legeslative Coordinator, Dan Ditto and National Legeslative Coordinator, Phil Glover is informed. They will be able to keep you up to date on the issures affecting our Council as a whole. The Council staff has recently started tracking all scheduled arbitration cases of the locals. Mitch Berry (attorney) has requested all this information be forwarded to him ASAP. Each time the tracking table is updated the Presidents will be informed. We are asking that if you schedule an arbitration and it is not listed or is inaccurate, please contact the Council so that the table can be updated. As the RVP, I am requesting you itemize all the evidence in a binder for the attorney. Also, I request the Advocate formulating the case, write a brief synopsis of the issues and facts about the case, so when the Attorney receives the evidence/information, he can correlate it to the evidence in the binder. This way, the Attorney will have a complete understanding of the issues in the grievance or case file. If you have any questions regarding this request or concerns regarding any representative matters please contact me immediately. Please do not wait for the arbitration to be imminent, before you decide to act, accordingly. This may be the cause of the Attorney denying to take on a Local's case- due to time constraints or previously scheduled obligations. Welcome to the SE web page. My motto this year is Constructive Change -- a concept which symbolizes the direction this Region will be headed in the near future. But, first, I want to thank everyone, especially, the delegates who stood behind me. I would not be here today had it not been for your unwavering support. So, I say thank you for believing in me. I will not disappoint you. I also want to personally thank Dan Bethea for servicing our region the past six (6) years. Dan has served the membership diligently -- negotiating our national contract and policies, and activating several new Locals in this region as their institutions came online. Dan has guided us through a tumultuous time. I call this time "the valleys and shadows." He defended our collective bargaining rights against the most hostile administration ever known to the federal workforce/employees. Under his leadership, I learned how to be a more effective Union President, and an advocate for AFGE and the Council of Prison Locals. I want to thank him for allowing this transition to take place without any discord. Dan, you will be remembered as a Champion of this Council -- a person who has served with dignity and perseverance. All your contributions, will not be forgotten. I want to thank my Local (501) and its members for their support over the years. We achieved a lot together -- working as a cohesive unit and by getting everyone involved. I plan to do the same in this region. As I said beforehand, this is not a one man show. Everyone’s participation is vital -- if we are to transform our region and the Council as a whole. I do believe I have the collective support of all my brothers and sisters in this region. The job of Regional Vice President comes with vast responsibilities. You can rest assure the duties of this office will be executed in an honest and efficient manner. We can achieve great things together, but it has to be by the consensus of all the Locals. Brothers and sisters, I pledge to serve this region with dignity and integrity. We have a duty to represent and protect the interests of our members in the Council. I plan to get right down to business. I accepted the job, and I promise I will do the job as you have elected me to do. First, you all know where we came from. Many of us, who are fortunate to still be around know our Region’s infamous history. They are years of adversity. Years, that I feel will live in infamy. We were the poorest organized and poorest represented in the Council. That is not the case today because of you. We have proved, you can change old ideologies by focusing on representation and by committing to excellence. Continue to raise the standards. We have journeyed a mighty long way, but we still have mountains to climb before we can even begin to see the promised land. My first priority is to organize and get all the representatives in this region actively involved in labor management relations. You cannot represent, if you are not on official time defending members’ rights. In order to be more efficient, you have to get your members involved. Our Union members deserve nothing less. I want to provide training so you can better serve your members so they can become better informed employees. The employee are here to be taken care of by the Employer, and likewise, the employees are here to take care of their Employer. Either party should not be taking advantage of the other unless if its mutually beneficial to both parties. I envision a mutual working relationship with Management. I vow to work with them as long as management vows to work with us. I want to believe Management has our best interests at heart in their decision making. But, I will not tolerate any management representative targeting our Union Officials or any kind of union animus behavior. I will be asking Management to honor and respect the Local’s statutory recognition as they go forward in discharging their fiduciary responsibilities. More important, I ask for ultimate respect of the Union Officials at the worksite because they represent what the agency has indicated are the most valuable resource of the Bureau of Prisons --the employees. Remember, you represent the collective interests of all bargaining unit employee in this Council and the BOP. This is my motto! “If both of us always agree on everything, one of us is not needed! That is why we negotiate, negotiate, negotiate [to achieve workable solutions on matters where we disagree] to meet in the middle.” Folks, I will honor all your aspirations -- equally and with conviction. Thank you for choosing me to be the your voice in this region. Thank you for electing me to be your Southeast Regional Vice President. May God bless our Union, the Bureau who employs us all, and may God bless America. Have you ever been told to write a memorandum for a job related incident that you know will result in discipline. If you feel discipline may result from the submission of a written report, you should be requesting a Union representative. Did you know, the Federal Labor Relations Authority have ruled the writing of a memorandum is a form of initiating an investigation. According to the Master Agreement, Article 6, you have a right to a Union representative during agency initiated investigations. The CEO/Warden is the only person who may initiate an investigation, not the Lieutenant, Unit Manager, etc., who tell you to convict yourself by writing a memorandum. Per Program Statement 1210, depending on which allegations or charge (s), even the Warden has to get approval of the Office of Internal Affairs or Inspector General before he can initiate a local investigation. This is to safeguard the rights of the employee -- to ensure there are no due process implications. Folks, I never understood why anyone would write a memorandum on yourself? It happens everyday. This needs to change. PLEASE, do not convict yourself. If you fear discipline may result from the writing of a memorandum, you need to request a representative. Article 6, indicates after you request a representative, no further questions will take place until a representative is present. This includes prior to the submission of any written report as well. So, please request a representative before you submit a written statement that convicts your own self. Greetings’ brothers and sisters! I would like to update you on my and the Council’s activities since the Convention. I have been on the negotiations’ team for the CPL nonstop since the Convention – trying to complete details of the search procedures for both non inmates and staff. Each week, we have returned to Washington, D.C. and engaged management, in sometimes, what others will consider, arduous debate – - over how the search procedures would be implemented nationwide. Since the Tallahassee incident, the BOP has been under increase pressures from the Department of Justice, particularly, the Office of Inspector General, to implement some sort of procedure to search staff nationwide. The policy the Bureau placed out before to be implemented, I believed, was very intrusive and invasive on our constitutional rights. I, on the other hand, believe our members have reasonable rights to privacy – although we work on government property. So, since I have experience dealing with these type issues in the field, I believed it was very important for me to be directly involved in any dialogue the Council had with management on this issue. On November 8, 2007, both parties entered into an agreement on search procedures for staff. A couple weeks prior, we completed all details in the policy to search non inmates. Further details of these procedures will be placed out by the President of the Council. I want to reassure each of you that we did not lay down on this issue. We fought for our rights up until the last day, and I tell you we have an agreement that we all feel we can live with that protects your civil liberties. I am proud to say that six years of negotiating a National Contract have come to an end. In the coming weeks, management and the Union will be proofreading and comparing notes/documents before we submit the final format of the parties’ Collective Bargaining Agreement to be published. Much of our Collective Bargaining Agreement remains intact. But, I do ask everyone to closely scrutinized every aspect of the agreed upon language that was signed off on – before the CBA is ratified. We want to ensure, we have the best CBA for years to come that we all can live with. Subsequently, to the CBA being ratified, Locals will only have six months to invoke their intent to bargain any Local Supplemental Agreements. It is imperative for all Locals, if they have not already started, please begin to compile a list of supplemental proposals to be negotiated. If you have a Local Supplement, this will be your opportunity to either keep the one you have or improve upon the one you have. 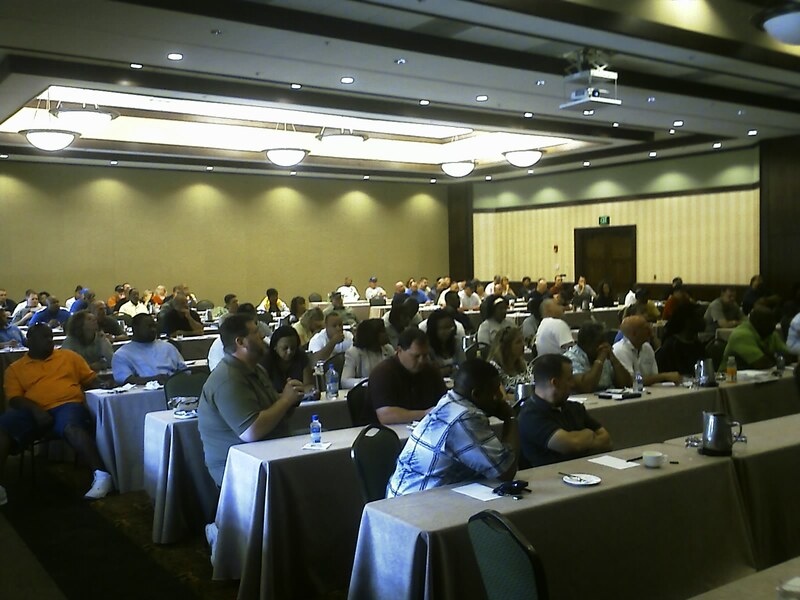 The Southeast Regional Office held another joint LMR training in Montgomery, Alabama back in September 2007. This training was geared for all AFGE Local Vice Presidents and Department Heads at each Institution. The training was sponsored by FPMI Communications and given by Instructor/Attorney Jeff Letts. Earlier this year, a joint training was held in Coleman, Florida for all Presidents and Wardens — all at the agency’s expense. At this training, we were able to convince the Regional Director that this type of training – although beneficial to the usual attendants – would be better suited for the lower level (Department Heads) management officials who are commonly, the cause of rising grievances and unfair labor practices filed against the agency in the field. As a show of good faith, he agreed to authorized further training. For this reason, I believe the Southeast leads all other regions in improving labor management relations in the field. Mr. Holt has demonstrated his willingness to go the extra mile. I want to thank him for the due diligence and his continued commitment to improve LMR in this region. The Southeast and Mid-Atlantic Regions have decided to conduct another joint Caucus together. We have had two joint Caucuses before, both were held in Pensacola, Florida. Dwayne and I continue to search for suitable and affordable meeting space. We are both looking at scheduling the training in either April or May in South Carolina. The City of Charleston was originally suggested and agreed upon by the Presidents in the region, however, due to unaffordable high hotel costs, we are now looking in Myrtle Beach, SC. I want to thank the Presidents in the region for giving us more flexibility in choosing another site. A Request for Proposal is still pending in the City of Charleston for other hotels, but, we believe if nothing suitable comes back from there, we will find affordable and suitable meeting space in nearby Myrtle Beach. I will keep everyone abreast of all options. I do apologize for the inconvenience – in scheduling your annual leave. AFGE Legislative Conference will take place in Washington, D.C. the week of February 10. I am requesting all Locals send a minimum of 2 representatives this coming year to hit the Hill hard. It is an Election Year, and I cannot express to you how important it will be to assist getting our platform to all who will hear it. Please set appointments to visit with your Congressmen/women and Congressional Staff. President's Training will be held in conjunction with the Legislative week on February 14th and 15th. The Council is looking at holding the Presidents’ Training at George Meany Labor College. However, all this is not finalized. Remember, all newly elected Presidents training costs, to include, hotel, travel, and per diem is paid by the Council. You can make all travel arrangements and seek full reimbursements through the Council. I truly recommend all Presidents and Vice Presidents attend this training to learn how to fulfill their fiduciary responsibilities and obligations to the Local. The selection of FPC was held after convention in the specified period of time per Bylaws. Irene Compton remains the SER Fair Practices. Irene has held the position of Fair Practices the last four (4) years. She is a very capable and knowledgeable advocate. Irene is well-versed in EEO training and Labor Management Relations. Irene is currently the Vice President of FCI Tallahassee’ Local 1570, and former President. I will be posting her contact information soon. There are several Locals holding elections before the end of the year. I will keep all apprised of any updates. It has become routine for the agency to convolute response letters to formal grievances with unorthodox threshold issues on a routine basis. Although, the Union believes the agency has the right to raise certain threshold issues -- in the interim and late stages on the grievance process -- we do not feel, they have the right to raise unorthodox threshold issues. For example, the most commonly used threshold issue asserted by the agency is the issue of whether or not a grievance lacks "Specificity." There is no agreed upon language in the parties' Agreement which indicates this issue can be raised -- like timeliness --yet we see it raised all the time. All federal sector collective bargaining agreements must contain a grievance procedure, according to 5 U.S.C. Section 7121(a)(1). In fact, the law specifies that the negotiated grievance procedure must meet some very specific criteria. For example, the procedure stipulates the following: 1)It must be fair and simple; 2) permit both the union and individual employees to file grievances; and 3) provide an opportunity for arbitration of disputes submitted by either the union or the agency. 5 U.S.C. Section 7121(b)(1). The Council has cataloged, numerous response letters from Locals across the nation filed by employees and Union representatives which state the following: "Your grievance lacks specificity in section 5 of the grievance form. Furthermore, nothing requires the agency to comb through "thousands" of regulations, statutes, and rules to determine what the Union/Grievance is alleging." Although, the subsequent section 6 of the formal grievance form indicates "Be specific," the agency routinely raises this issue continuously that it is required in section 5 -- when it is not. Numerous Arbitrators have ruled in BOP arbitration cases, over and over again, in decision after decision, that nothing requires the filing party to be specific in section 5 of the grievance form, yet, management routinely include such frivolous statements in each response letter. In retrospect, nothing in Article 31 or 32, states this is even required, yet is continues to be made a part of all response letter throughout the nation. The Council agrees with the sentiments expressed in an arbitration award by Arbitrator Robert J. Irwin. He stated the following: "Although the Agency's suggestion that it might have to comb through "thousands" of regulations, statutes, and rules to determine the grounds for the grievance is not unreasonable, the reciprocal answer to that suggestion would require that a relatively unsophisticated Grievance, unschooled in the myriad of possible rules, regulations, and statutes, as well as the Master Agreement, and without the experience and training of a human resources professional, would be required to comb through thousands of regulations, statutes, and rules to determine which of them may have been violated by the Agency." The Arbitrator believes that is asking for too much of the employee or the Union. Obviously, we agreed. The Council contends, if there is enough information mentioned in the grievance to put the employer on notice that just cause/proper cause provision of the contract, laws, rules, or regulations are alleged to have been violated, we are respectfully requesting, the agency cease and desist in utilizing this unorthodox threshold issue when responding to formal grievances and/or at arbitrations unnecessarily. We have to remember, when the law was created to establish the right for parties to negotiate Grievance procedures language in Collective Bargaining Agreement, it was basically, to ensure the proceduresaree fair and simple. We believed the agency is convoluting the procedure by including this unorthodox issue all the time. It is not productive and is unnecessary wasteful spending of the tax payers' dollars. We also contend it is a manner to intimidate employees in the exercising of their right which is a violation of Article 6. To continue such will force the Council to report the agency for waste, fraud and abuse and will force the Council to file a grievance seeking a cease and desist order. Remedy: We request this unorthodox threshold issue not be included in response letters unnecessarily and/or it not be raised at arbitration hearings before a third party unnecessarily. The Council is not asserting cease and desist in any specificity issues, but, clearly, the broad abuse going on in the field needs to cease. We respectfully ask guidance be put out in the field -- to all Employee Services Managers and Regional Employee Services Managers, not to engage in such actions. If this issue is left unresolved, I look at this becoming a national grievance. AFGE General Counsel’s Office will be involved. CLICK HERE FOR PICS OF SOUTHEAST REGIONAL LMR TRAINING.